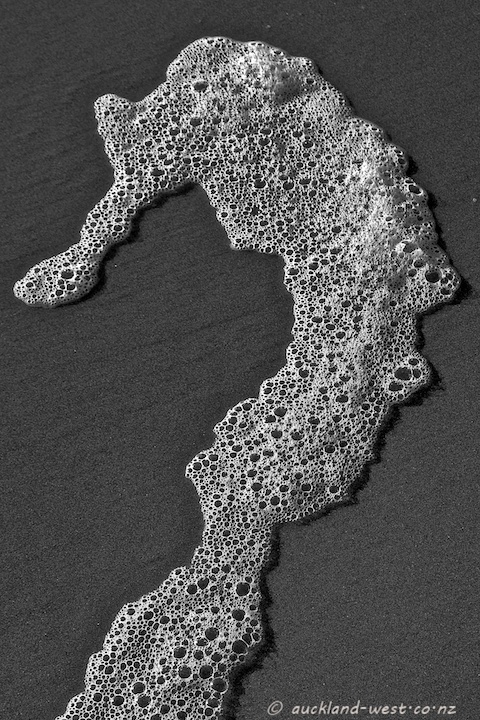 We often go for walks on the dark iron sands of Piha beach, and this time I saw a seahorse in the foam left behind by the receding tide. Maybe you can see it, too? At any rate, it’s a bit of foam at the water’s edge. The theme for November of the City Daily Photo community is “The Water’s Edge”. Click here to see thumbnails of other participants.